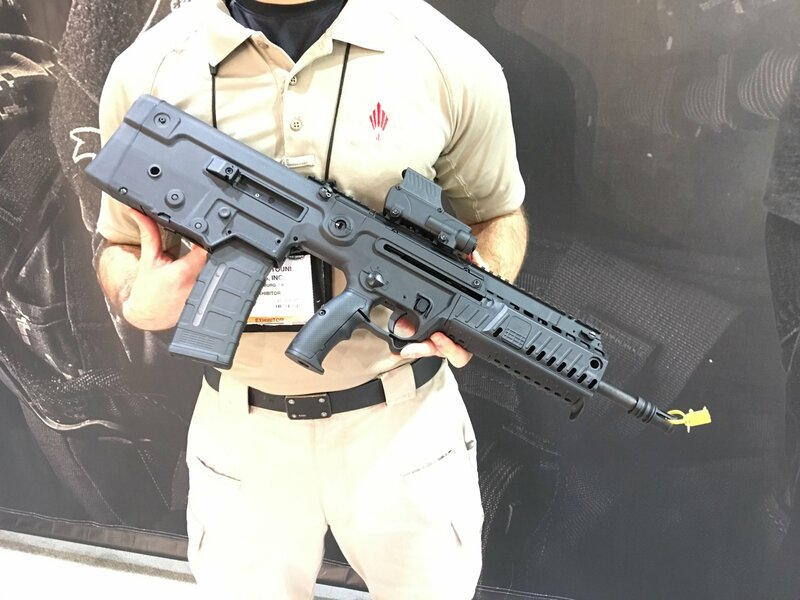 Israel Weapon Industries IWI X95 Modular Bullpup Assault/Tactical Rifle/Carbine/SBR/SMG with AR-Type Ambi (Ambidextrous) Controls! (Video!) | DefenseReview.com (DR): An online tactical technology and military defense technology magazine with particular focus on the latest and greatest tactical firearms news (tactical gun news), tactical gear news and tactical shooting news. 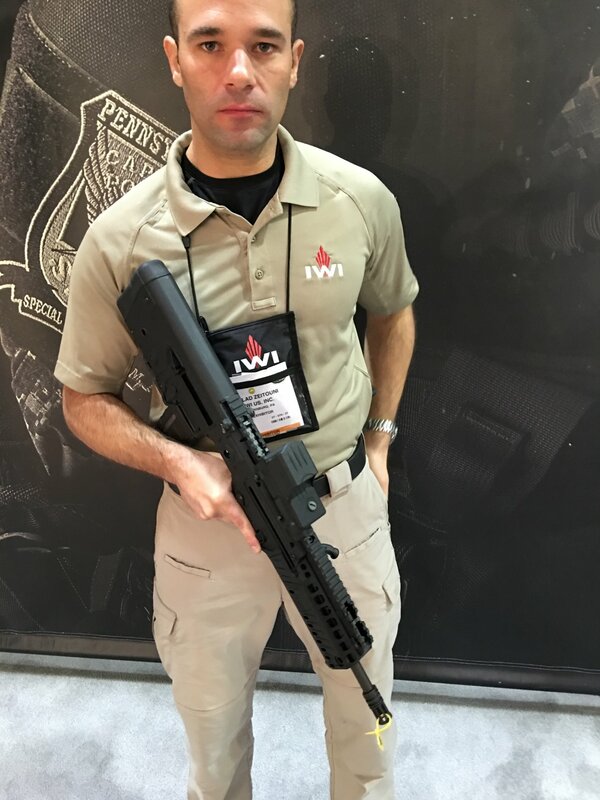 Israel Weapon industries (IWI) recently displayed the IWI X95 modular bullpup assult/tactical rifle/carbine/SBR (Short Barreled Rifle)/SMG (Submachine Gun) at SHOT Show 2016, and the new gun generated quite a bit of industry buzz. 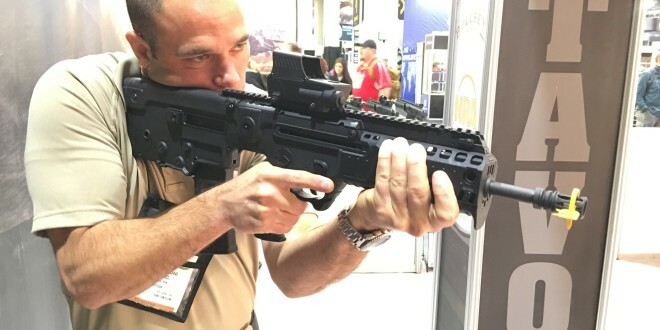 The X95 would appear to be significant and well-thought-out evolution of the IWI Tavor SAR, with updated AR-type ambi (ambidextrous)-controls and removable/replaceable fore end rail panels that cover the MIL-STD-1913 “Picatinny” quad rail system. DefenseReview (DR) was glad to see a large/oversized AR-type index-finger-activated ambi-mag (magazine)-release button. We also liked the large, comfortable-looking leftside forward-mounted non-reciprocating charging handle and seemingly well-designed front and rear flip-up BUIS (Back Up Iron Sights) that are integrated into the X95’s full-length MIL-STD-1913 “Picatinny” top rail. Regarding the military-grade select-fire/full-auto variants, the IWI X95 is currently available in 6 different models in various calibers, including the X95 Rifle/Carbine (5.56x45mm NATO/.223 Rem. or 300 Blackout), X95L (also 5.56mm NATO or 300BLK), X95-R (5.56mm NATO, 5.45x39mm Russian, and 9x19mm NATO), X95-S (9mm Parabellum/9x19mm NATO), X95 SMG (9x19mm NATO), and X95 Flattop (5.56mm NATO and 300BLK). 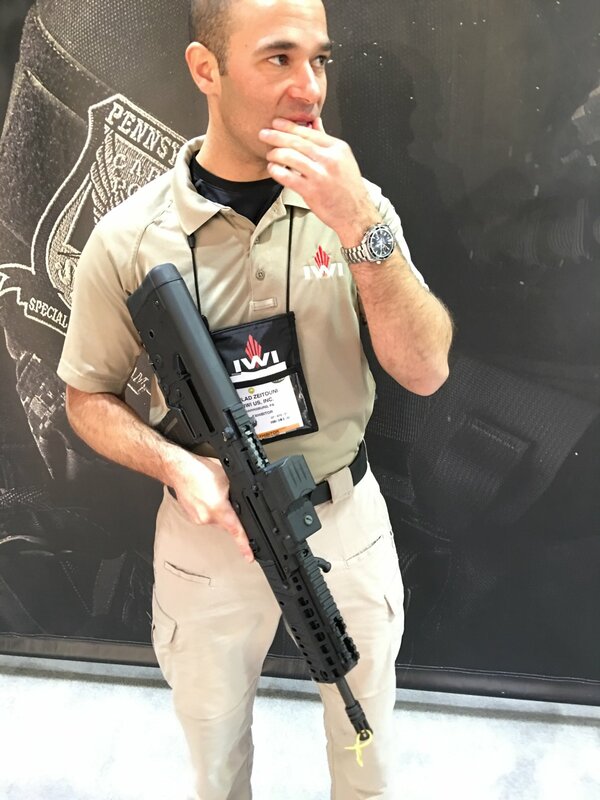 It’s DR’s understanding at present that the civilian-legal/commercial semi-auto-only carbine variants of the IWI X95 are currently available in 5.56mm NATO, 300BLK and 9mm Parabellum (unconfirmed/unverified). Defense Review liked what we saw of the gun, and look forward to running a few different models of it at the range when we can. 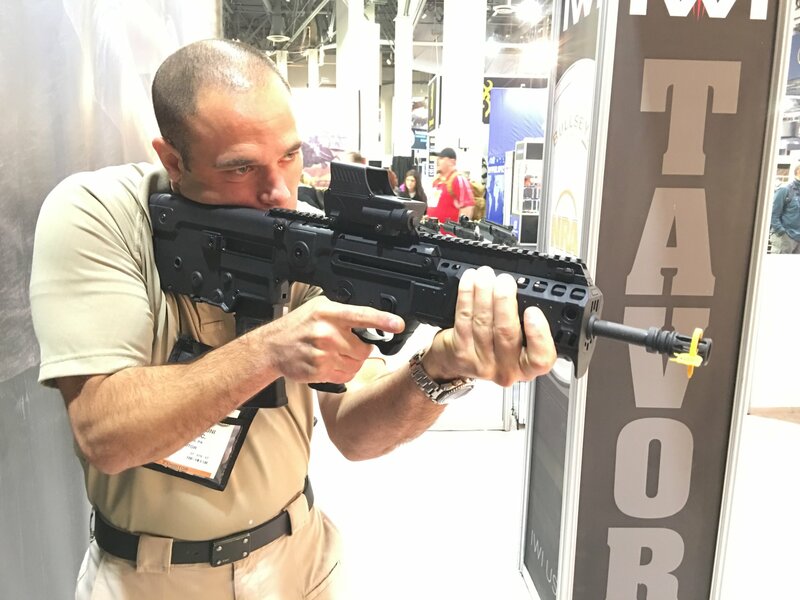 The trigger on the sample X95 we handled was certainly better than the sample Tavor SAR’s trigger we tried at SHOT Show 2013. 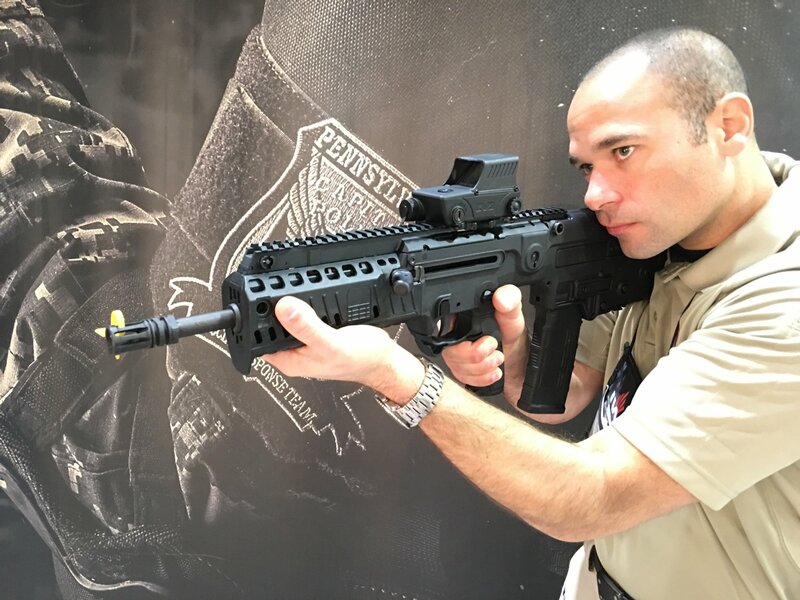 According to IMI marketing rep Gilad Zeitouni, the X95’s trigger-pull weight is 5-6 lbs (pounds). The X95 trigger pack is also available as a seperate, a-la-carte replacement component/part for the Tavor SAR. Gilad says in the video below that MSRP for the X95 is $1,999.00 USD, and that the gun will be available at the end of this month (March). The X95 is the Special Forces firearm of the next generation. The X95 was developed in close cooperation with elite units and was tailored to their specific requirements and needs. The X95 was created to deal with modern threats of anti-terror, urban and open area combat all one mission. The X95 incorporates advanced technology that allows interchangeability from 5.56mm ammunition to 9mm ammunition. This leap in technology allows the fighter to use the same weapon platform for a wide array of scenarios. The interchangeability can be done with a silencer for all calibers, thus distinguishing itself as the ideal weapon for Special Forces dealing with complicated situations. • 30 Rds. Magazine capacity. • Body made of high strength impact modified polymer. • Conversion from day optics to night optics is done without zeroing. • Has true “OTB” (over-the beach) capability. • Designed for maximum operator and armorer level maintenance. • Folding back-up sights that include tritium for night combat. • Very easy field striping into 2 parts. • Has a last round stopper. • All the metal parts of the weapon are corrosion resistant. One Rifle, Three Calibers – The only one in the world! The X95 is the Special Forces firearm designed for the next generation users of small arms. 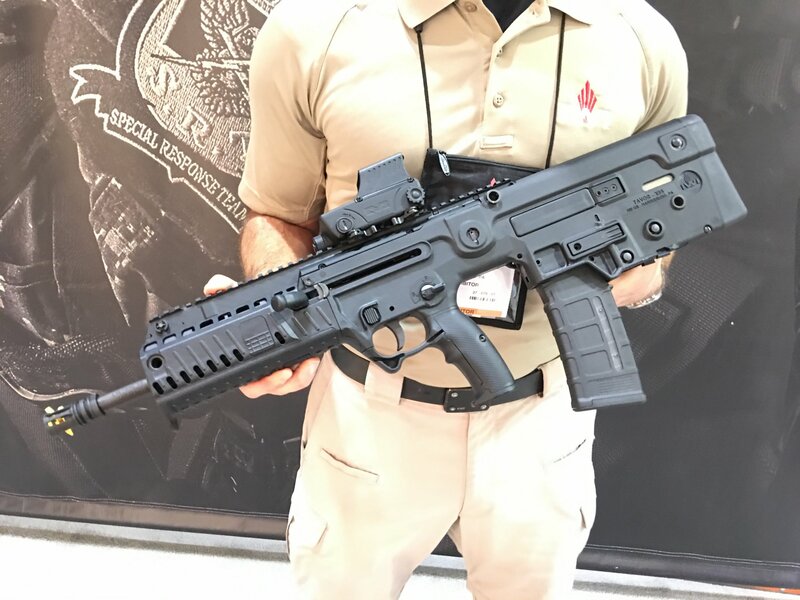 The X95 was developed in close cooperation with the Elite Units of Israel Defense Forces (IDF) and was tailored to their specific requirements and needs . The X95 was created to deal with modern threats of anti-terror, in urban and open areas combat – all in one mission. The X95 is the standard Israel Defense Forces (IDF) Assault Rifle. The X95 incorporates advanced technology that allows the conversion from 5.56mm caliber to 9mm to 5.45mm caliber and vice versa. This leap in technology enables the soldier to use the same weapon platform for a wide ar ray of scenarios. In addition, the multi caliber X95 is used worldwide as it is compatible with western and eastern ammunition. Previous: Teal Blue Bravo (TBB) PDQ Ambi-Bolt Release (ABR) Ambidextrous Bolt Carrier Group (BCG) Catch/Release Button/Lever for Tactical AR-15 Rifle/Carbine/SBR’s!